We’ll just come right and say it. We’re suckers for Swedish indie pop. In addition to Loney Dear, Marching Band, and yes, even Peter Bjorn and John at times, tonight’s Neumos headliner tops our list of favorite exports from the land of ABBA, Saab and IKEA. With a sound that’s akin to a more upbeat Camera Obscura and in turn, a female-fronted Belle & Sebastian at times, The Concretes produce infectious pop gems with simple but sweet vocals coupled with lush instrumentation. Head to Neumos tonight to experience the band for yourself with Florida’s Millionyoung and local pop punk enthusiasts Speaker Speaker. While the majority of artists turn to (often) trivial interpersonal issues as fodder for their work, others turn to external sources for (often) denser inspiration. While Neutral Milk Hotel was famously captivated by Anne Frank and The Handsome Family fill their songs with true-life melancholy, tonight’s Comet headliner interestingly turned to the pages of Freud’s friend turned nemesis Carl Jung. Head to the Comet tonight to hear Arbouretum‘s musical take on Jung’s The Red Book as well as other songs from their previous three albums. 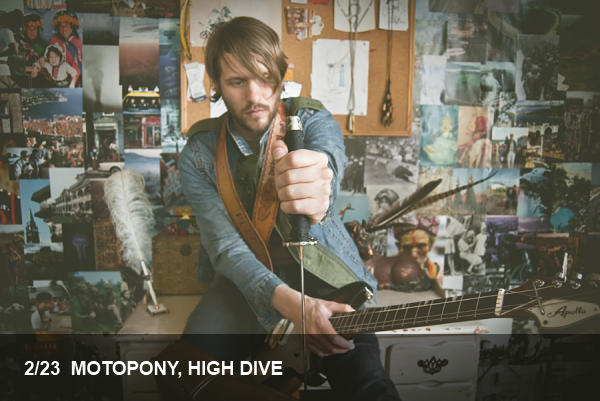 The Baltimore purveyors of heavy, folk-ish rock will be joined by Endless Boogie. The snowpocalypse turned out to be a pretty big disappointment for Seattlites who like snow. However, there is one good thing about the stark absence of snow blanketing the city: you can still make it to the two awesome shows that are happening tonight! 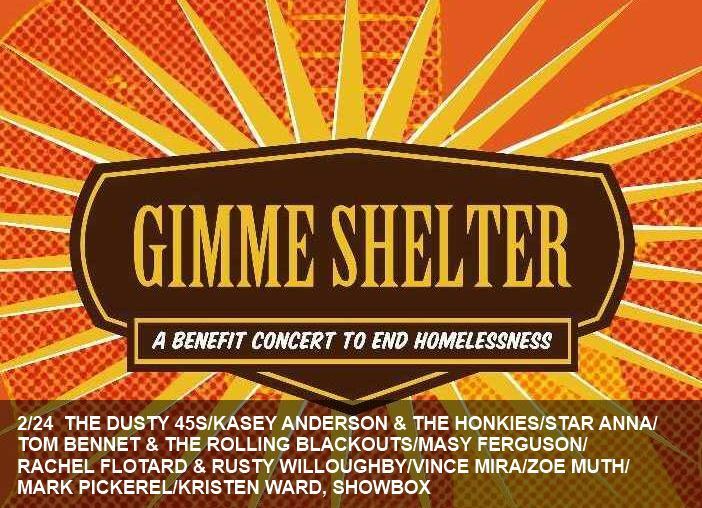 First up is the “Gimme Shelter” event at Showbox tonight. It is a benefit show to end homelessness, and during weather like this, ending homelessness is more important than ever. The Gimme Shelter lineup is quite impressive if you like raucous, boot-stompin tunes: The Dusty 45s, Kasey Anderson & The Honkies, Star Anna, Tom Bennet & The Rolling Blackouts, Masy Ferguson, Rachel Flotard & Rusty Willoughby, Vince Mira, Zoe Muth, Mark Pickerel and Kristen Ward. Enough said. For those of you who are feeling a little more quirky and experiemental, the always-entertaining group Deerhoof will be at Neumos. Spawned from a dream about a mummy falling in love with a Victorian archeologist (what? who hasn’t had that dream before? ), So Runs the World Away tackles themes of vividly described exploration. The album was written in conjunction with Josh’s first novel, tentatively titled Bright’s Passage, and the lyrics are rich and colorful. The album ranges from droning guitars and gentle vocals to hard hitting, repeatitive beats that nearly overpower Josh’s shouts. Overall, the album is true to it’s theme of exploration and it is clear Josh stretched the boundaries of his musical comfort zone. Josh Ritter & the Royal City Band are headlining at Showbox Sodo tonight with support from one of our favorite Scottish songsters, Scott Hutchison of Frightened Rabbit. Topical, somewhat-related references aside, we recommend heading to the Paramount tonight to see Portland’s beloved veterans of experimental-folk, The Decemberists. The band will take the stage this evening to support their most harmonically-heavy to date and one of their best in years, The King is Dead. Head to the ‘Mount early-ish to see excellent opener Mountain Man. Unfortunately with the advent of MTV’s Jersey Shore phenomenon, the Garden State’s reputation has become even more tarnished than previously imagineable. It seems that no one can take Jersey seriously, except, of course, those who live there. 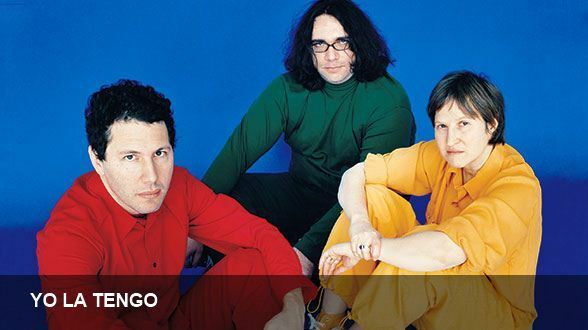 Snookie jokes aside, there remains a bright spot in Jersey’s bad rap: the Hoboken-born experimental indie pop group Yo La Tengo. Yo La Tengo has remained a bit of an anomaly for almost 30 years. While they’ve consistently been a favorite of music critics everywhere, they’ve remained largely under the mainstream radar while garnering a devoted cult following. Their sound ranges from fuzzy alt rock to trancey indie jams and everything in between. 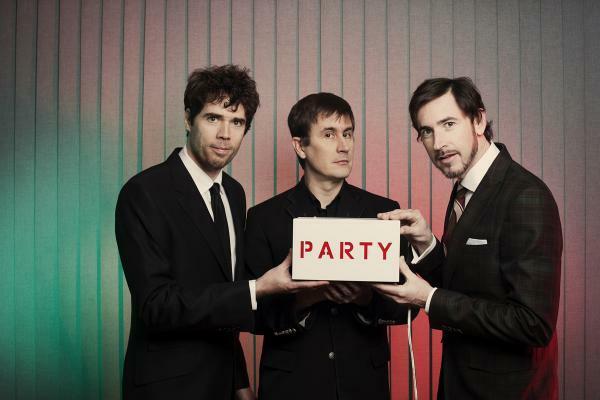 The trio is also known for their repertoire of cover songs of other popular yet unconventional artists like Daniel Johnston, the Kinks, Neil Young and The Velvet Underground. The Corin Tucker Band will be joining Yo La Tengo tonight at Showbox at the Market. We guarantee Yo La Tengo’s set will even make you forget they are from Jersey. Portland is good for a lot of things, like shopping (no sales tax! ), filling the car up with gas (they actually have people that pump your gas FOR you) and doughnuts (VooDoo… need we say more?) But one of our favorite things about Portland is The Builders and the Butchers. With a raw falsetto that is not unlike the vocal chops of Brian Molko of Placebo, frontman Ryan Sollee leads the quintet in vivid Americana rock, making them one of the most talked about PacNW bands in the late 2000’s. Known for lively performances and lyrical storytelling, The Builders and the Butchers thrives on connecting with their audience. The group’s third album, Dead Reckoning, releases next Tuesday, but tonight they’ll be playing the Tractor Tavern with Murder By Death and Damion Suomi & The Minor Prophets.